It’s a terrible thought but do you know what you would do if your dog got lost? You can increase the chances of a happy reunion if you plan ahead for this possibility. 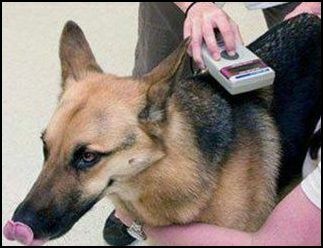 When a lost pet is found it is often taken to a local animal shelter or a vet’s office where the pet is checked for collar ID information and is also scanned for a MicroChip. When a collar ID is available this represents the most immediate means of getting a lost dog reunited with its owner. If the dog is missing a collar ID but a scan reveals that it does have a MicroChip then there is still this path that can be followed to reunite a dog with its owner. 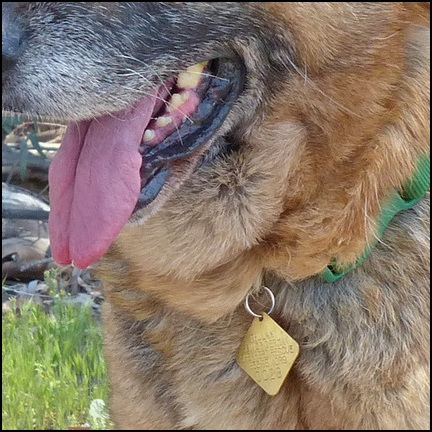 Thulani Senior German Shepherd Rescue (TSGSR) has already equipped your adopted Thulani Dog with a collar ID tag and a MicroChip. 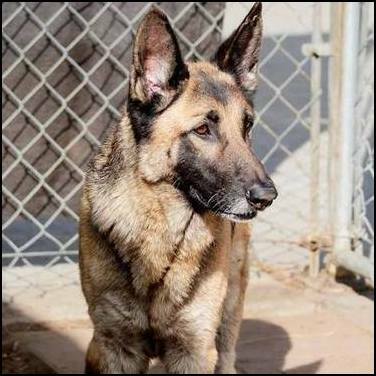 The MicroChip has been registered with a MicroChip Registry called Michelson Found Animals Registry who holds TSGSR’s contact information in their registry. TSGSR has your contact information that was provided in your Adoption Agreement and we will contact you if we receive a MicroChip Found alert from the MicroChip Registry. If you move or otherwise change your contact information please let TSGSR know so we will be able to reunite you with your dog in the event that it becomes lost and is then found. The Michelson Found Animals Registry also has some suggestions and comments for you to consider and actions you can take. Can I Also Receive MicroChip Found Alerts directly? The reason that some Thulani Dog owners might want to have their own MicroChip Registry account and receive MicroChip alerts directly is that they may have other pets (cats, dogs, etc.) that have MicroChips that they acquired outside of TSGSR and they would like to have all their pets protected by the same MicroChip Registry. In this way, they only need to update a single MicroChip Registry for all their pets if they have a change of contact information. With your Computer or Tablet browser go to the Registry using this link: Michelson Found Animals Registry. You will notice that there is a list of helpful links at the top of this web page that you will likely need as you progress through account set-up… such as SUPPORT CENTER, SIGN IN, and REGISTER. Click on the REGISTER button to prepare to add your Thulani Dog to your account. Please note if you have already registered another Thulani Dog previously or have other pets registered with this Registry you already have an account so you should click on SIGN IN instead of REGISTER to open your account. You will initially be asked for your email address. It should be the email address that you provided TSGSR on your Adoption Agreement. Once this is submitted you will be advised that YOU ARE ALREADY IN THEIR REGISTRY since TSGSR has already started account set up for you using your provided email address. You should find your Thulani Dog waiting there in the account for your attention! To ADD your dog just select NOTIFICATIONs at the top of the web page and then CONFIRM the Incoming Transfer Request of your dog into your account. 4. Lastly, you will need to complete the “My Information” section of your account. 5. That is It! Your Thulani Dog has now joined your account and you will receive MicroChip Found Alerts when they occur. To view your Thulani Dog that has been added to your account you can go back to your account profile by clicking on the Michelson Found Animals Registry logo at the top lefthand part of the webpage. Now that you have this account you can also add your other pets that have MicroChips. If you need additional information please feel free to go to the registry SUPPORT CENTER to review their tutorials or send them a HELP message. DON’T FORGET to update TSGSR and the Registry of any changes to your contact information!